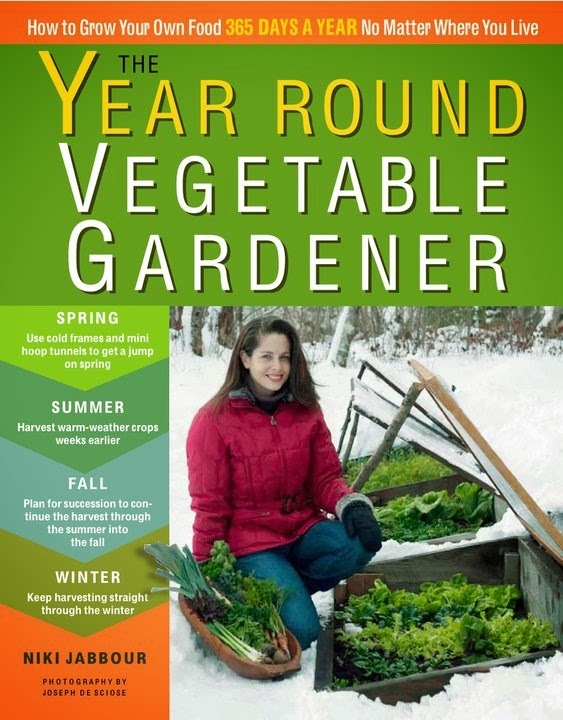 Niki Jabbour - The Year Round Veggie Gardener: A January Special - The Year Round Vegetable Gardener e-book only $2.99!! A January Special - The Year Round Vegetable Gardener e-book only $2.99!! Who doesn't love a good deal?? I know that I do.. especially when it involves books! I'm thrilled to say that Storey has chosen The Year Round Vegetable Gardener as one of their 'Fresh Pick's' for January and are therefore offering the e-book version for just $2.99! If you're in the US, click here for details! Sometimes these specials don't translate to Canada.. but, no worries, just go to the Chapters website - here - and you can also get it for your kobo for just $2.99! Or download it on your iTunes, etc..